Haven't had any time to look at it this weekend, it's penciled in for next weekend. 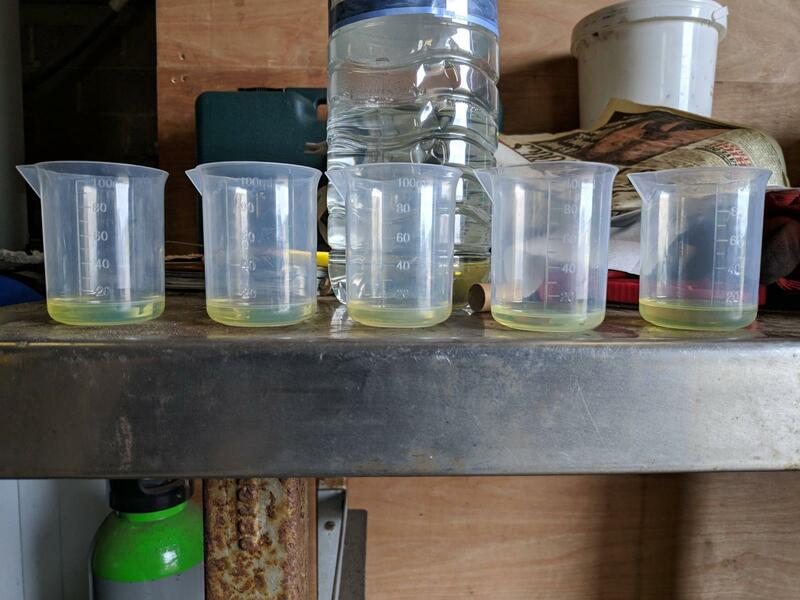 The issue of bad fuel still needs to be checked, I'm going to try running it on neat diesel purge to see if that makes any difference. Opinions differ as to whether it'll run with a gravity feed straight into the HP pump or not. 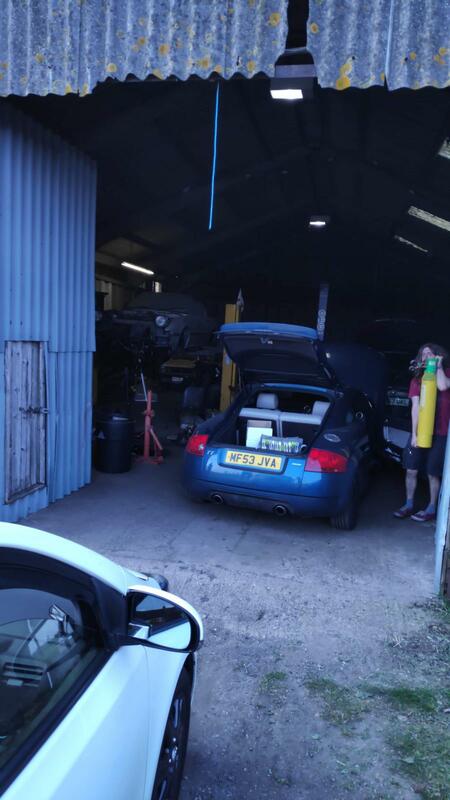 I think the plan is to try the diesel purge then get the car up on the lift to check for boost leaks and also to loosen the downpipe from the turbo to rule out an exhaust restriction. Timing was also suggested, so I might try seeing if I can get locking pins in. All I really managed to do on the Volvo was attempt a diesel purge, only to find that it wouldn't run without pressure from the lift pump. I ran a load of diesel purge through the HP pump and filled the fuel filter housing with the stuff, then started it - no difference. I think this can probably rule out bad fuel, as it would've been running on neat diesel purge straight after start up. I had it up on the ramp to check for any sign of boost leaks and couldn't see anything wrong. I also took the timing belt cover off and couldn't see anything obviously amiss there. Finally, I was going to take the downpipe off the turbo but the small bolts holding it were not keen on shifting and also fairly inaccessible, so I soaked the one that I could get to, binned it off because I didn't want to snap the bolts and went to the pub. 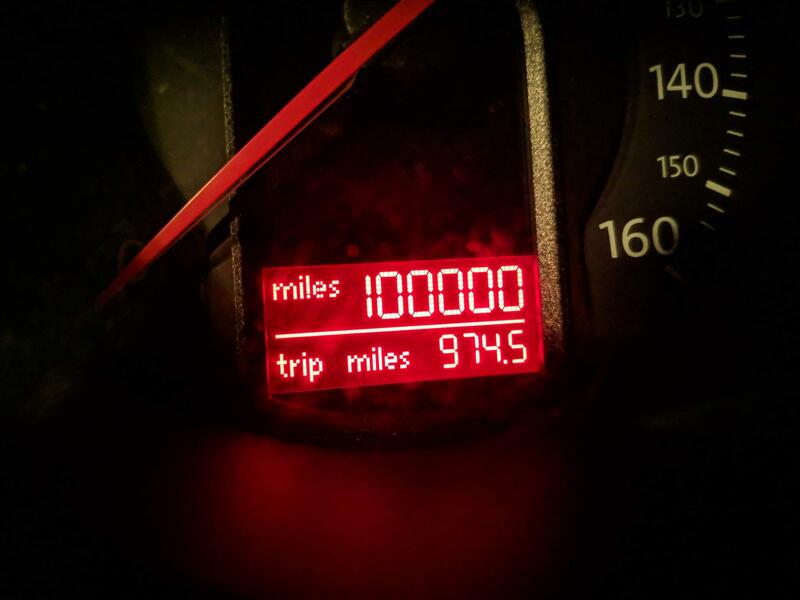 In other news, my pisshat ticked over 100,000 miles today - only needed an engine, turbo and DMF to get there. Fault codes are still MAF high and boost pressure low. At the moment I'm wondering if there might be some kind of fault with the valvetrain - there's a ticking noise coming from the top end somewhere, I don't think it's an injector because all of the tests I've done on them so far have been OK. The next step is going to be a compression test, I picked up a socket on the way back from the unit that should hopefully work for the glow plugs. Am I barking for thinking that if there was a sticky lifter/valve/damaged rocker, that could be causing these issues? I feel like the engine would still rev, but be very noisy. I would've whipped the rocker cover off for a look but the injectors have to come out first, so I'll wait and see if the compression test reveals anything. I can see you have changed the fuel filter. This will not be a valve/rocker issue,nor will it be low compression and removing the rocker cover is quite involved and needs £££ of gaskets to replace,i would be looking at air flow restrictions on the inlet and exhaust sides of the engine before spending money on it,egr valve can stick open,dpf/ cat could be in trouble,inlet pipework can block up and the inter cooler is prone to splitting causing running problems,I really hope you can fix this car without too much aggro,I take an interest cos I am a v70 owner scince last year and it has been the most troublesome car I've ever owned by a mile. I too wish you the best of luck in resolving this. I'm sure it'll all be worth it in the end! Does the turbo spin if moved by hand? Is the MAF code still immediately there after clearing? If not, does it reappear quickly once the engine is started? If turbo spins by hand and does does freely, I reckon as solid61 said it's likely an airflow issue on either intake or exhaust side. I read the original poster said the problem happened shortly after refilling with fuel. I think misfuel has been rules out, although I've known as instance where the wrong fuel was put in the underground tank, that is rare, but it has happened. So just cos it said DERV on the receipt is irrelevant in such an instance. The next possible problem is that there was a lot of shite in the fuel that clogged the filter within a few miles, and has then clogged the new filter very quickly. 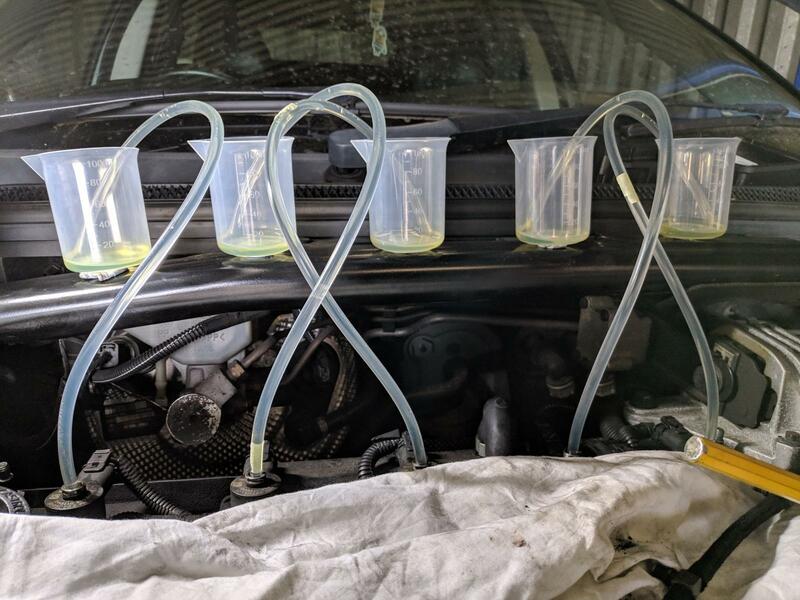 Although you've been getting fuel samples from your leak off test, one assumes these look OK. Having said that, if the fuel filter is taking out the crud, the fuel sample with be clean and the filter becoming more clogged by minute. Yes - Bosch filter installed which went on fine. I think you could be right, but so far I've ruled out pretty much everything on the inlet side apart from the manifold itself by disconnecting the pipework and letting the engine breathe atmospheric air straight into the manifold, if that makes sense? Intercooler looks fine, I took the panel off underneath it and couldn't see any splits/bulges/oil. It's probably worth making more of an effort to get the downpipe off the turbo before taking the rocker cover off, that and taking the air pipework off the turbo to rule out a restriction there. Sorry to hear that about your V70, it's annoying because I reckon it'd be quite nice if it worked! Haven't checked the turbo yet, I'll have a look next time I'm up there. The MAF code doesn't come back until the engine has been running for a while, can't remember exactly how long but certainly not straight away. Would I be right in thinking that the reading from the MAF is likely correct but the ECU doesn't like what it's seeing? I think you and solid61 are on the money, will have to do more checks on airflow next time I'm at the unit. Even in the unlikely event the turbot is seized I would expect it to rev and be drivable simply to be dog slow. Have you tried cleaning the maf? Or just replace it they’re sub 20 quid by the looks of it. The diagnostics is useful but if you’re getting a maf code , it looks like it’s air flow related and the part is jus 20 quid it’s worth just changing it. If it doesn’t work it’s one more thing ruled out. Where are you? Try my MAF if you want as long as it isn’t killed....my xc90 is running well! Would this still be a possibility maybe next weekend? Could save me picking up a MAF. The part number on my MAF is 0281002730, which I think is different to Euro 3 (up to 05-ish) D5 engines - if this matches your XC90 I'd be very grateful for a loan! I’ve come across a couple of euro4s that have had valve train issues...the head castings crack around the hydraulic lifters. If there’s any rattling from the top end, it’s well worth investigating as it can result in a severe lack of power due to some of the valves failing to open. Any progress, proving a tough one to crack or has time been spent on getting the BBQ running ? Sadly no progress to report since the last update, the temptation of beer in the sun has been too strong to resist so the moody Swede will have to wait. Hoping to have some time on it this week, have also got top mounts to do on another V70 - broken Volvos for everyone!